Mission Possible. The Ultimate 12 Week RE Sales Contest. Task 10. Make A Plan, Stan. Do you know that old saying that you can’t know where you are going if you don’t know where you’ve been? It’s not just a line from a Country and Western song. 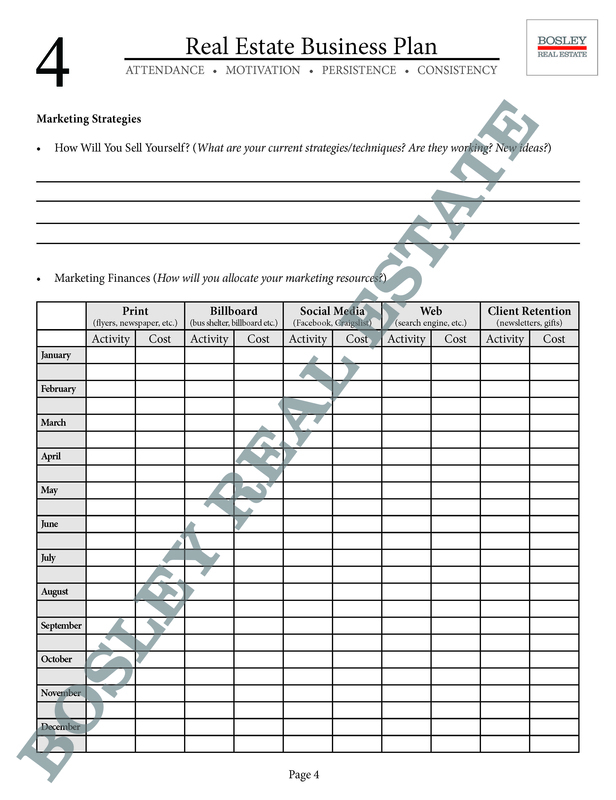 The truth is, in real estate, the mighty business plan is the key to success. I’m a huge fan of plans. In fact every year I write down about ten things I want to achieve. I keep that list close to me at all times . If you know me, then you know I have pretty lofty goals so if I achieve 5 or 6 of them, well, that’s a win. But a well formulated plan can help your business dramatically. It can balance your budget, help determine where to spend your money, how much prospecting you have to do and, of course, help you figure out how hard you have to work to achieve your desired income. If you are new to real estate, a business plan will put you on track quickly as long as it is comprehensive enough, but if you are a veteran, than the good business plan will help you review your successes and failures of the past year and hey, we all want to learn from our mistakes don`t we? So my 10th task asked agents to go over the business plan in detail. 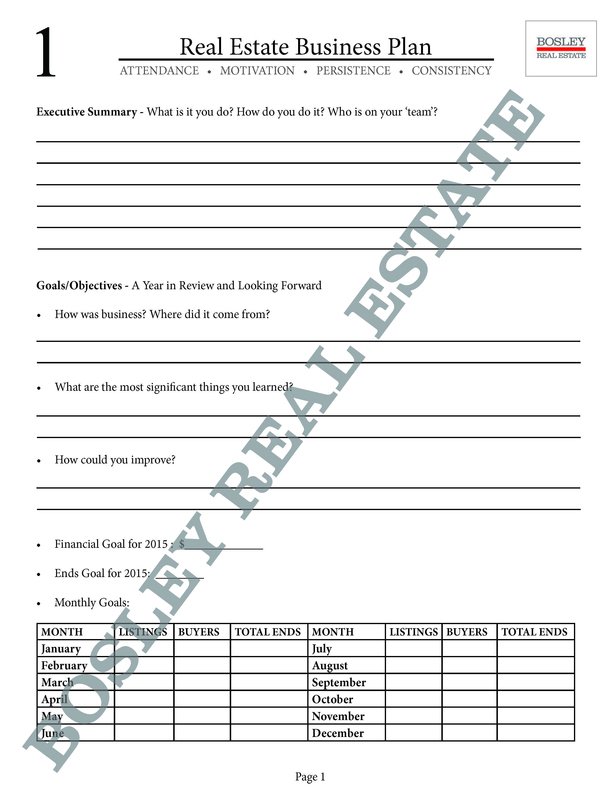 Now, a business plan is not much good to you if it is filled with unattainable goals so part two of the task includes talking to a manager or, at the very least, someone who can ask questions or poke holes in your plan. Is your plan reasonable and attainable? I have included our company business plan for you to review. Feel free to copy or print it out. It’s pretty comprehensive and not something that can be completed in a few minutes. I hope you take the time to work on your plan this year. Don’t just go through the motions. Be as honest with yourself as possible. I guarantee that creating your plan is just another step in achieving success in our business.